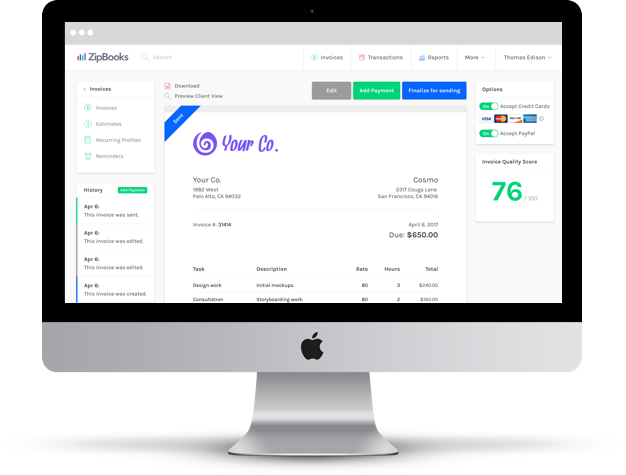 If you’re looking for a free invoice generator, look no further than ZipBooks. 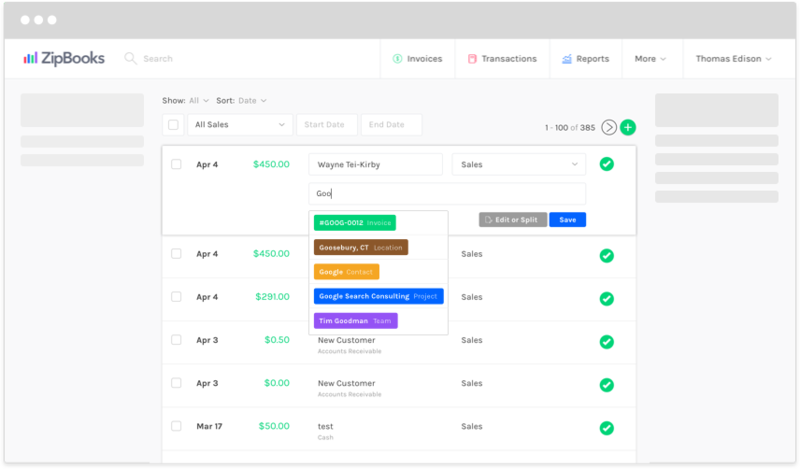 We combine common sense invoice templates with an invoicing software to simplify the whole process. 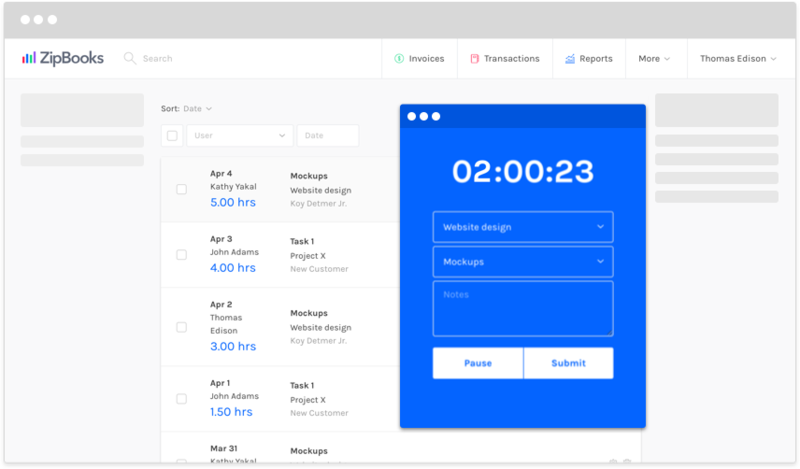 Enjoy features like time tracking, project management, and the ability to track expenses and estimates when you sign up today. Managing your work flows is now a breeze. Track your time with our online time tracker (we’ve even got browser extensions that sit on your desktop and let you track time in as few as two clicks). 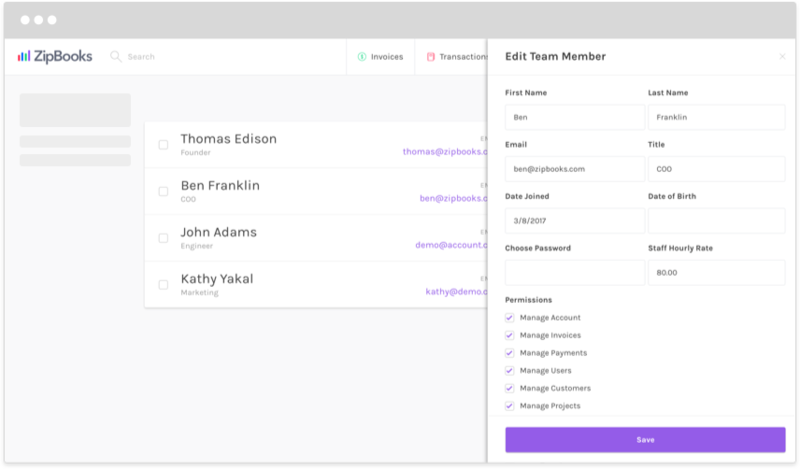 You can also add team members, set rates for them, and then create projects to assign them to. As a business owner, you’ve probably got too much on your plate. Divvy it up as you give permissions to let team members help you hit deadlines and finish projects. You’ll enjoy more freedom as you sit back and watch team members track their own time and project work. When it comes time to invoice a client, you can gather these line items into our simple invoice template. No more shuffling through papers or sifting through a complicated software. 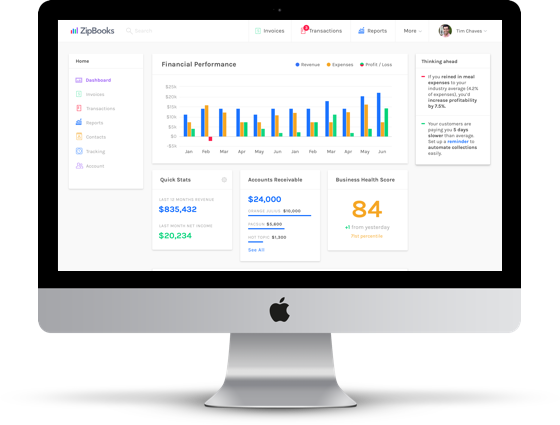 Desert your old system and join ZipBooks—the free online QuickBooks software alternative. Don’t let your invoicing system tie you down. Use our online invoice generator and software on the go. You can do just about anything from a phone these days. Why not bill clients? Send them an invoice that is similar to a QuickBooks invoice template while you’re still at a project site, at the office, or in a meeting. The easier it is to bill, the easier it is to get paid. Open a new invoice, gather in pertinent information from your records, and send off a professional-looking invoice that is trustworthy and transparent as glass. Your clients will thank you by hiring you again and paying you faster. You won’t know what it’s like until you sign up. Your first time using ZipBooks will feel like your fifth, it’s that straightforward. 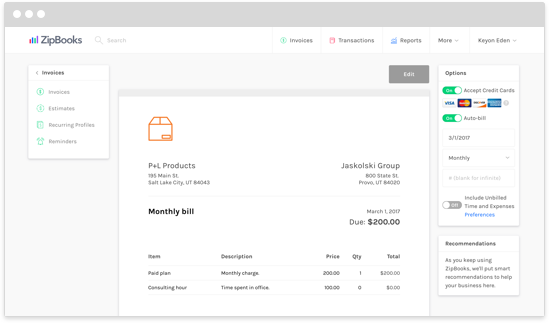 We’ve got a simple invoice template that looks almost identical to the templates for estimates, expenses, and recurring invoices. So when you learn one feature, you’ll have no trouble with the rest. And enjoy the freedom of working online. You and all of your team members can access our invoice software for Mac simultaneously, and you’ll each be able to track the work you did personally for a particular project. 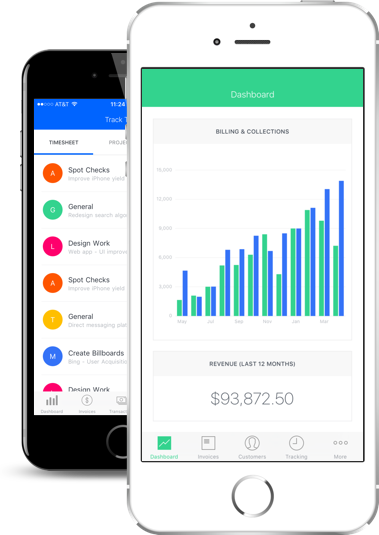 And don’t forget—cleaning up your invoicing system cleans up your whole business. A lot of people are on the cloud, but we ensure your data's security with 256-bit SSL data encryption. Plus, being online protects you from physical theft, loss, and hard drive failure. Sign up for the online invoice generator you've always wanted with just your email. 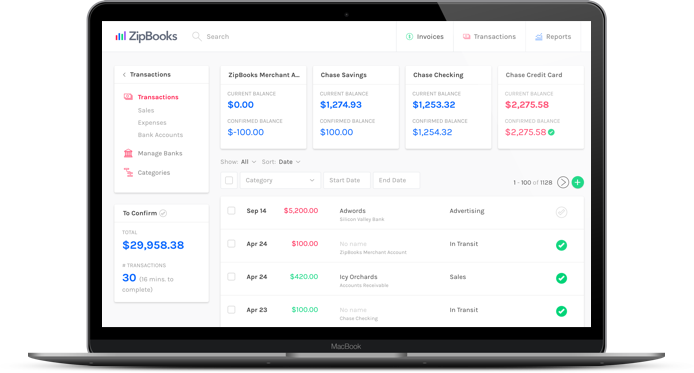 ZipBooks pairs a great invoice template with a great invoice software. It's a no-brainer. You can start out using our software for free. But even as your company grows, we won't charge you any hidden fees. We'll give you unlimited invoices and transactions cost-free.